You found the right website if you are searching for homes for sale in Mira Mesa CA. 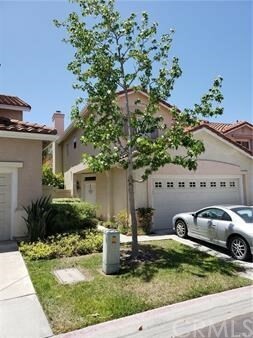 Our website has EVERY Mira Mesa home for sale in CALIFORNIA listed in SANDICOR. Mira Mesa is actually a very large suburb of San Diego. It’s found about 18 miles to the north of the downtown area and just north of the Marine Corps Air Station Miramar. The area is full of things to do and has a deep military history. It was actually founded to support the U.S. Naval Air Station found to the south. If you are a Mira Mesa home buyer, our foremost goal is to provide you with exceptional customer service. Our goals are to help you purchase the right home, make sure you don’t miss out on any homes that meet your needs, and make sure you don’t pay too much for your next home. Please utilize our Mira Mesa real estate expertise to make your home search and buying experience as stress free and rewarding as possible. If you considering selling your Mira Mesa home, we utilize the latest, cutting-edge, real estate marketing tools to expose your property to the widest range of potential buyers. We are here to get your house aggressively marketed to sell as quickly as possible and for the best price! Our goals are to help you get your Mira Mesa home sold, put you in the strongest negotiating position as possible, and to make it easier for you and reduce surprises. Over the years, Mira Mesa has grown into one of the largest communities in the San Diego area. The population is now over 80,000 residents and major companies, such as TelCentris, Qualcomm, Sony Online Entertainment, Gen-Probe, Texas Instruments and Vulcan Materials Company all have established headquarters in the area. Known as one of the more affordable communities in the San Diego area, the average home in Mira Mesa sells for about $450K. Many homes start around $30K and they can go up over $600K. Home style range from apartments to single-family homes and many of the homes were built in the 1960s. However, there are some new construction homes found throughout the area, as well. While Mira Mesa is home to many restaurants and shopping options, it’s most-known for the many festivals and events held each year. The Mira Mesa Street Festival is one of the most popular fall events, while the Fourth of July parade and fireworks provide something everybody can enjoy in the summer. The area is also known for a big Halloween celebration and an event to celebrate the independence of the Philippines from Spain. Other regular weekly and monthly events are held throughout the year, as well. Along with the events, Mira Mesa provides plenty of attractions and parks. The Miramar Memorial Golf Course is found here, along with Lake Miramar, which provides plenty of water activities. Two shopping centers provide ample shopping options, which are the Mira Mesa Shopping Center and the Clairemont Town Square Shopping Center. Residents also enjoy the El Camino Memorial Park, Hourglass Field and Los Penasquitos Canyon Preserve. The neighborhood parks and the preserve provide plenty of outdoor recreation, while the San Diego Ice Arena, an aquatic center and many other area attractions provide even more recreation for residents. The area is also served by many private schools including the Good Shepherd Catholic School, Mira Mesa Christian School and Christ the Cornerstone Academy. The community is also home to the Miramar College. With a location just 18 miles to the north of Downtown San Diego, Mira Mesa provides all the amenities of the bigger city without the need to live downtown. Plenty of shopping, dining, entertainment and activities are found throughout Mira Mesa. Residents also enjoy easy access to all San Diego has to offer, highly rated schools and affordable housing options. Buying or Selling a Mira Mesa, CA Home?